In New Jersey, charges for driving while intoxicated can be levied regardless of the driver’s age. However, the levels of alcohol in the blood are different for people who are 21 and over – of legal drinking age – and for those who are under the age of 21 and have been drinking illegally. Because younger drivers are inexperienced, tend to take risks that older drivers do not and think they’re invulnerable, underage drinking and driving is a frequently made mistake that can have long-term ramifications on many lives. If a person 21 and over is stopped on suspicion of DWI and registers a BAC of at least 0.08%, there will be an arrest for DWI. If the driver is under the age of 21 and registers a BAC of 0.01%, there will be an arrest for DWI. This is a significant difference. Law enforcement in New Jersey is constantly on the lookout for NJ drivers and out of state drivers who might be committing a DWI. If a vehicle violates a traffic law by running a red light, is weaving in and out of traffic or makes an illegal pass, the officer will stop the vehicle. When the stop is made, the officer will look for signs that the driver has been drinking such as the smell of alcohol, slurred speech and blood shot eyes. Then there will be field sobriety tests such as the Horizontal Gaze Nystagmus test, the Walk-and-Turn test and the One-Leg Stand test. After that, the officer will ask the driver to submit to a breath test to determine the BAC. The driver is not allowed to refuse to take the test based on the rule of implied consent in New Jersey. That means that there will be a charge of refusal if the driver doesn’t submit to the test. Even if you pass the field tests, if the police find alcohol you will be arrest for underage alcohol possession. This is independent of whether or not the driver was drinking. As stated earlier, a BAC of 0.08% for a driver 21 and over or 0.01% for a driver under age 21 will warrant a DWI arrest. The penalties for a driver who is under the age of 21 and is caught and convicted of a DWI depend on the age of the driver. In the event that the juvenile’s BAC surpasses 0.01% and is under 0.08%, the driver’s license will be revoked for one to three months beginning on the day they were convicted. For drivers who are not yet of legal age to drive, the suspension will start on the day they turn 17. The driver will be required to perform community service for 15 to 30 days. 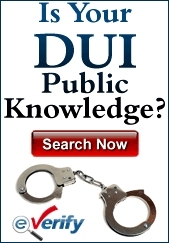 He or she will need to attend the Intoxicated Driver Resource Center (IDRC) in addition to having to pay for it. Other charges could be added to the list the youth will face including the possibility that the alcohol was purchased with a fake identification and that they possessed alcohol while underage. An driver who is under the age of 21 and who registers a BAC of 0.08% or above will face the customary penalties for a DWI in New Jersey. These will include a driver’s license suspension of three months; the possibility of 30 days in jail; the $230 for the IDRC; $100 each to the Alcohol Education and Rehabilitation Fund (AERF) and the drunk driving fund; $75 to the Neighborhood Services Fund; and surcharges of $1,000 per year for three years. Insurance is very expensive for younger drivers as it is and a DWI conviction will make the costs massive. A driver who is age 16 when arrested for DWI will have the penalties begin when they turn 17. The youth could be required to go to the morgue to look at dead bodies that have been killed as a result of DWI, visit emergency rooms, hospitals and rehabilitation clinics in an attempt to flesh out the consequences of committing a DWI. The long-range consequences for an underage DWI aren’t just limited to losing one’s driver’s license and having to go through the punishments listed above. If the conviction is on record, it can stop an underage person from being admitted to schools and possibly hinder them from getting the job they want.